The funny thing about today’s recipe is it’s a bread called Amish Cinnamon Flop Bread. Apparently the Amish have a different definition of the word flop, because none of the Englishers in this household considered this bread to be a flop. Sift sugar, flour and baking powder together. Add melted butter and milk. Stir together until well blended. 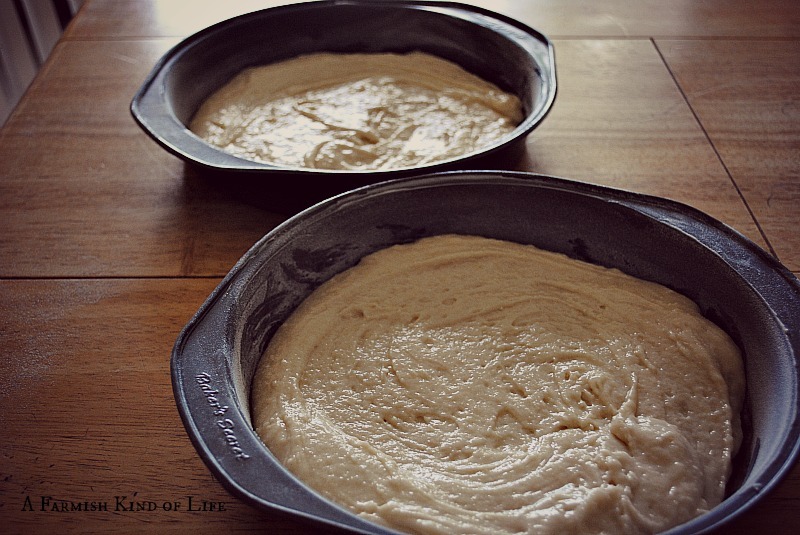 Divide mixture between two 9″ well greased cake pans. The batter is very thick and you will wonder how you’re going to use this to cover the bottoms of two pans. But trust me, it will happen. Sprinkle tops with flour, then brown sugar, then cinnamon. 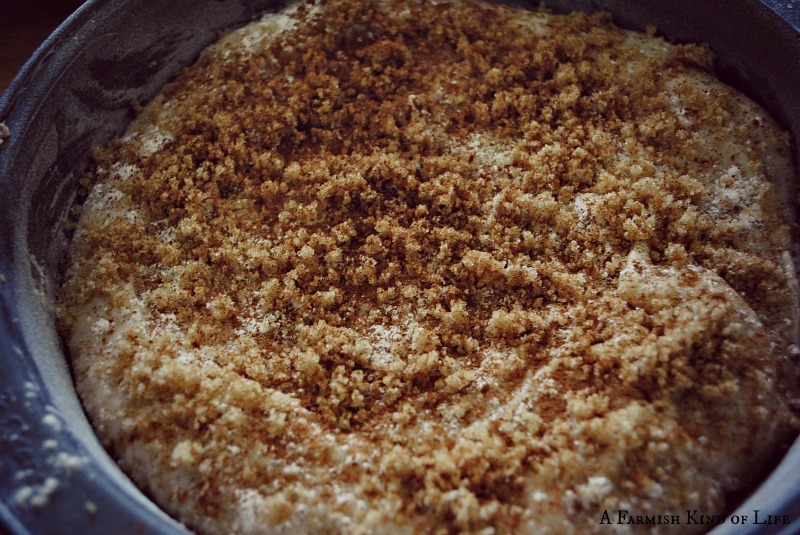 Looking for another Amish recipe? 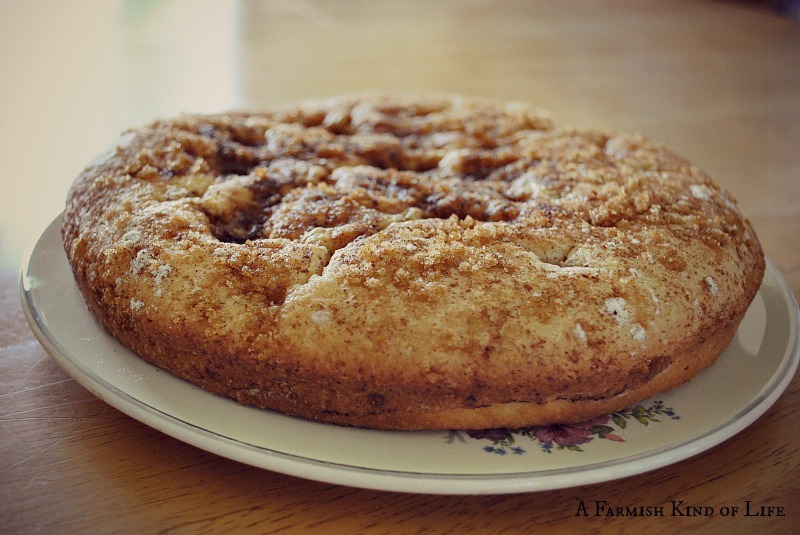 Try Amish Coffee Cake! The beauty of this Amish Cinnamon Flop Bread is that you can tweak the recipe a bit if you’d like. I recently made this and added cream cheese and caramel to it. Results? Well, maybe a little different than the Amish intended…but it was absolutely pure heaven! 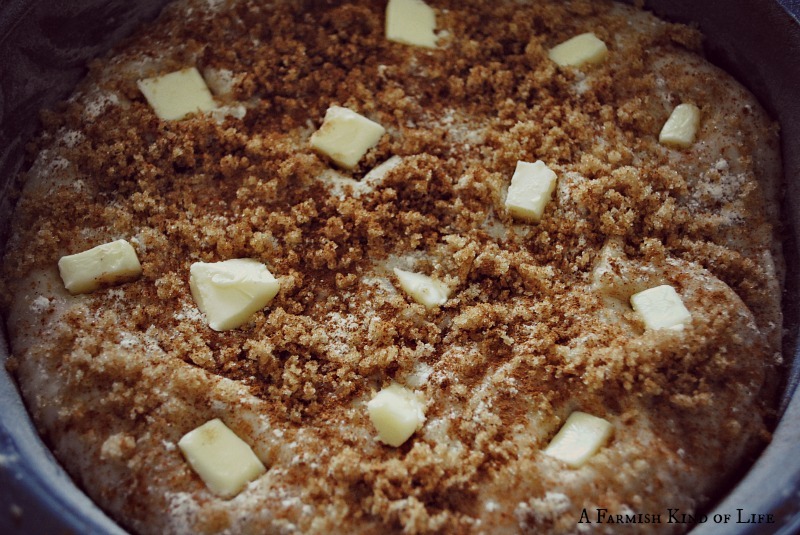 However you choose to make this recipe, enjoy your Amish Cinnamon Flop Bread. I’m sure you will find it is definitely not a flop! 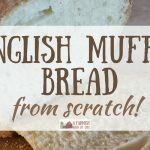 Easy and delicious recipe for a cinnamon brown sugar bread that's made even more decadent by the addition of cream cheese! 1. Sift sugar, flour and baking powder together. 4. Dust tops with flour, then sprinkle with brown sugar, then cinnamon. 6. Bake at 350 for 30 minutes. OPTIONAL: Instead of butter, push chunks of cream cheese into the batter and drizzle caramel ice cream topping over the top before baking. Hmmm…I might have to try to convert this to a gf recipe! Looks yummy! 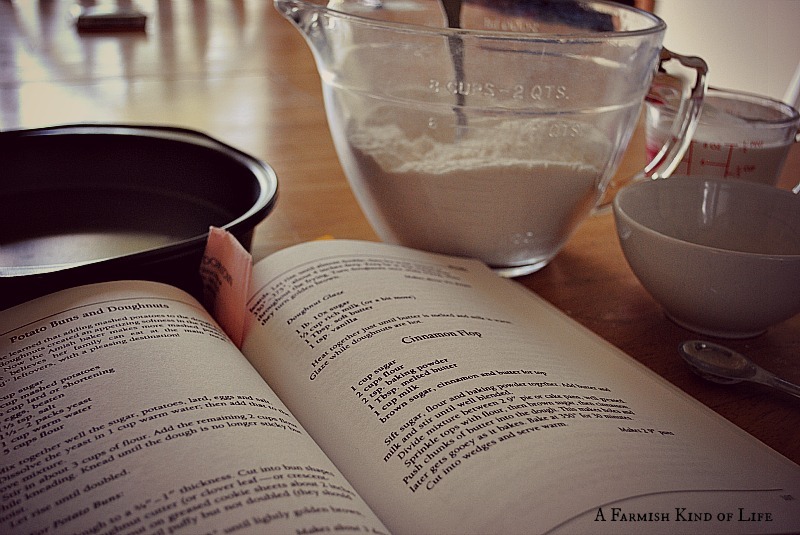 Erin, you can use 2 cups of Pamela’s Baking & Pancake mix for the flour and baking powder. I’ve done that in lots of other recipes with excellent results. And I’m going to try to make it myself this way in the morning. It will be a nice treat for my son for breakfast! That looks really, really good! Since my poor attempts at bread most of the time can no longer be called flops, now I need a new name LOL! I'm with Candy C. — I just now (at 9:10 a.m.) got my morning latte made. I'll have a piece, too, please. Would be fun to research the name, Cinnamon Flop. Sorta like my Blueberry Buckle recipe. (Like who wants to eat a buckle? Or a flop?) I'll be making this one. Thanks for sharing. That looks like what will appear for the barn crew this coming Sunday! Thanks for sharing! welp. I'm dropping everything to go run in the kitchen and make this delicious looking recipe!!! Definitely trying this as soon as I can! Thanks! Okay, fine…this is for breakfast tomorrow morning, thanks! Yummy! And so simple too! Wow, that looks DELICIOUS! I might just have to try that this weekend! Thanks for sharing and posting great pictures! 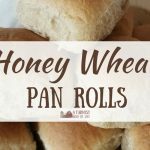 The best thing about this recipe is that its so simple and takes ingredients that most people (at least those who read a farmish blog) would have on hand. That's why I love old recipes and Amish recipes. Not complicated…but so very tasty! 'Sure looks like one delicious 'flop' to me. Thanks for the recipe! Woohoo! Anything with "Amish" in the title always seems to be a hit. Can I come over in the morning please? I shared this with my fave SR…….she ate 1/2 of one while we were visiting! It is very easy and SO tasty! I have made this soooooo many times. It’s so good that even when I make double it’s gone within the hour, everyone gobbles it right down. Very tasty. As for the recipe, I prefer the one you have listed here compared to others. This one uses less sugar, and isn’t over powering like other ones. I might have to try this one! Thanks for sharing! Recognized your barn at the fair today. 😉 Nice! After putting the batter into the pans, it says to sprinkle the tops with flour, brown sugar & cinnamon, but it doesn’t mention flour in the topping ingredients. How much?? Don’t want to make it too tough. When I saw this recipe last night, I just knew I had to try it. I baked it this morning with whole wheat flour, and we’re still nibbling away. Definitely a winner in my house, and I’m sharing it on my social media today as my pick for #RecipeOfTheDay. One thing: I didn’t notice that the recipe doesn’t call for salt until I had it in the oven. I have a habit of using unsalted butter when I bake,. I do believe that had I used salted butter, this cake would have just the pinch my taste buds are missing. Do you use salted or unsalted butter when you bake this? I use salted butter. Good tip! Husband loves this! Made it for his birthday yesterday and he gave it a huge thumbs up. The only thing I changed was I added a half tsp of cinnamon to the batter because my husband loves the taste. Could I use coconut or almond flour and a sugar substitute? 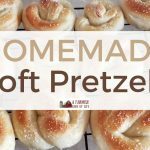 I would love to make this but I’m low carb………. I’m not sure, I’ve only ever made it as the original recipe states. If you try it with the substitutions, let us know how it turns out! This looks delicious! I love your food posts. I MUST try this one.